Screen casting is a great way to provide quality digital learning experiences. High quality screen casting is vital to a productive online or blended learning environment. Below are examples of screen casting work designed for video courses Randy has created, as well as projects for different organizations. Scroll down the page to view examples of interactive graphics, virtual environments and printed instructional materials. Below are examples of ways interactivity can be added to images, therby providing an easily understandable interface for learners. 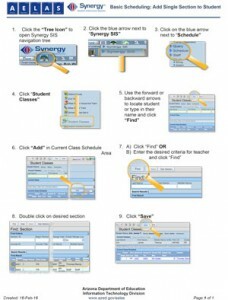 Each image leads to a micro tutorial which learners can use throughout their professional development experience. Click on an apple below and learn about Google Documents or Google Forms! 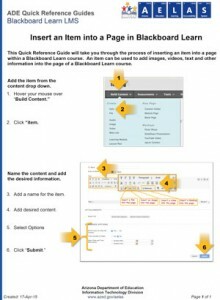 Scroll down the page to view examples of immersive environments and printed instructional materials. Although interactive infographics and videos are great tools, there are times when a learner prefers text (screen or print). 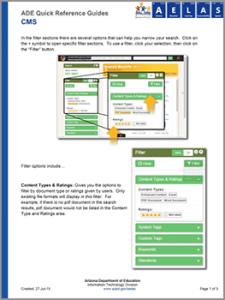 Below you will see screenshots of print material created for a variety of agencies, allowing the end user to access information via an online pdf or paper printing.